The predominant material used in the Nicojoli dress is TENCEL, a hardwood based high-quality fiber with a multitude of excellent properties: machine washable and wrinkle resistant, soft, absorbent, anti-bacterial (keeps you fresh), 100 % biodegradable and produced without the use of pesticides or environmentally hazardous chemicals. 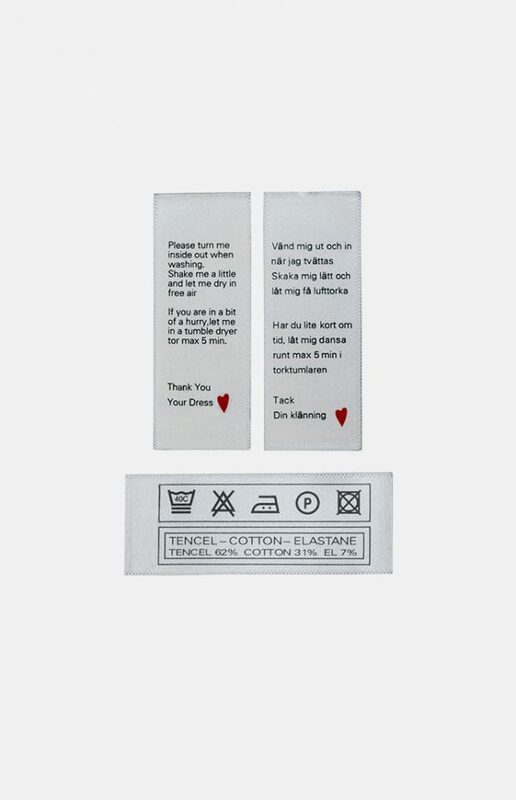 Every detail is delicately thought-out and carefully manufactured: the buttons are massive with the logo engraved, and the size label is placed under the pocket, next to the washing instructions, to avoid scratching your neck. Machine wash 40 C / 105 F.
Line dry, or tumble dry gently at low heat for 5 minutes maximum, followed by line drying. The dress is two-colored with a base color and with items such as the top part of the lining, the pockets, and the bottom section in a contrasting color. The pockets are roomy enough to hold your golf ball and peg and are designed to allow you to bend forward without the contents falling out. The length allows for you to move comfortably. The cut accentuates your back, hip and bust without drawing unnecessary attention to your waistline.